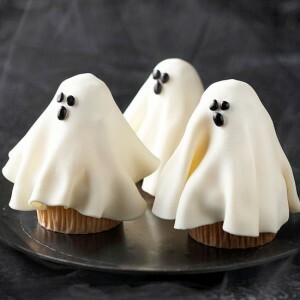 Are you seeing cupcake ghosts? Or maybe Halloween spiders? You’ll see those and more when you check out these creepy cupcakes. Set ’em out for Halloween and watch them…disappear! We loved this video of twin babies who, upon hearing dad’s sneeze, begin to sneeze themselves, proving that kids can be charming and eager mimics. Next time your little one just can’t stop crying, here’s something to try. Kids DO Say the Funniest Things! From “Baby Almonds” to “Big Booty,” kids come up with some funny stuff, sometimes at the most inopportune times! How about YOUR child? Feel free to comment below and share any funny things they might have shared with you.